From local, network and state examples, from practitioners and researchers, we continue to learn about the importance of early learning experiences and find there to be great promise in existing and emerging practices. Early childhood care and education (ECCE), as defined by UNESCO, is the “holistic development of a child’s social, emotional, cognitive and physical needs in order to build a solid and broad foundation for lifelong learning and wellbeing.” We know these experiences shape young learners minds, attitudes and often behaviors. For the purposes of this post (to provide a broad scan of the field and predict what may be on the early childhood horizon), we mention early childhood care programs but chose to focus specifically on exploring pre-kindergarten educational experiences. We talked with ECCE experts and surveyed the field to compile a short list of what we know so far and share where there is still room to grow. Our scan identified five things we know about early learning, but ultimately we know early learning matters… and it matters a lot. We also know that all early learning experiences and are not created equal, nor are they available to all students and families. Many early childhood education programs help develop social and emotional learning, engage students in place-based education and start to develop core academic and readiness skills, while others fail to meet those marks. High-quality early learning programs are also often out of reach to families due to cost or access (we’ll dive deeper into this subject as well as the changing trends and demographics that shift the need and demand for early learning programs). 1. ECCE promotes brain development and has positive long-term economic benefits. Countless studies have shown that quality early learning leads to increased cognitive development and leads to positive economic impacts — both for the individual and for the nation at large. When looking at brain development, Linda Bakken and her colleagues found that “the years from birth to age 5 are viewed as a critical period for developing the foundations for thinking, behaving, and emotional well-being. Child development experts indicate it is during these years that children develop linguistic, cognitive, social, emotional, and regulatory skills that predict their later functioning in many domains”. ECCE also has an impact on economic growth and development. A 2014 report by Former President Obama’s Council of Economic Advisers found that “expanding early learning initiatives would provide benefits to society of roughly $8.60 for every $1 spent, about half of which comes from increased earnings for children when they grow up.” The research points out the increased earnings can be attributed to children developing their educational foundation through access to early learning programs. 2. Developing 21st Century Skills in early learners helps prepare them for success in school and life. David Ross, CEO of the Partnership for 21st Century Learning (P21) makes the point that the development of 21st-century skills starts as early as 18 months old. It is for this reason that P21 advocates for the development of 21st-century skills in early learning contexts and has developed an Early Learning Framework and guide which provide guidance on how to integrate these principles into learning experiences. Lee Scott, Goddard School Advisory Board Member and lead author of the Early Learning Framework, admitted that while incorporation of technologies into early learning is great to see she also hopes they are used as a tool to develop these 21st-century skills and not used only as entertainment. She also shared that she has seen a return to meaningful, experiential learning and an increased focused on working with parents to understand how these experiences can promote the development of 21st-century skills. 3. ECCE can make a positive difference in the lives of young children. RAND reviewed 115 early childhood education programs serving children or families of children from prenatal to age 5 and found that quality education at this age can make a major impact on the lives of students. The outcome domains were behavior and emotion, cognitive achievement, developmental delay, health and welfare, crime, educational attainment and adult outcomes. 4. Age-appropriate use of technology can enhance learning. 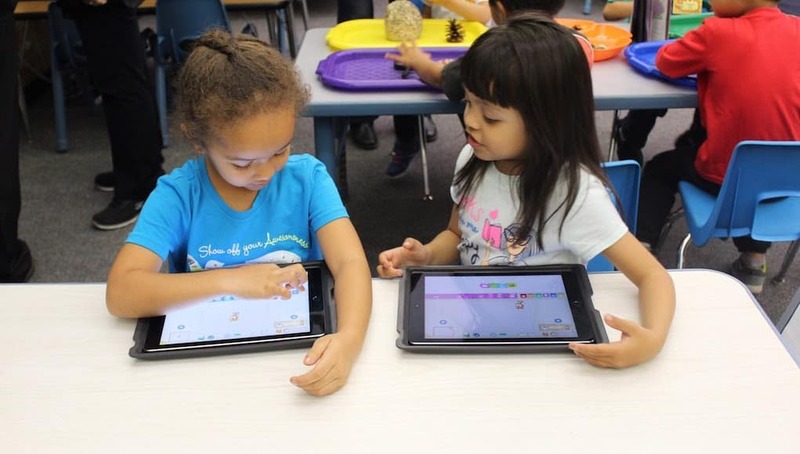 In 2016, the US Department of Education and Department of Health and Human Services issued a policy brief on early learning and educational technology which laid out four principles for the use of technology with learners ages 2 to 8. “Technology—when used appropriately—can be a tool for learning. The Departments believe that if technology is used with the principles as a guide, it can help children learn how to use technology to effectively communicate with their peers and adults to foster better relationships, expand their learning, and solve meaningful problems. 5. Uneven access. A scan from The Hunt Institute of early childhood education across the country shows inconsistencies in offerings and quality of programs. In some states universal pre-k is expanding access but not ensuring high-quality experiences for all (see a recent Georgetown study on Tulsa’s universal pre-k and a report from Center for American Progress on how universal pre-k can help close opportunity gaps). We know more progress is needed and that many educators and leaders are working hard to advance and enhance early learning experiences. When we look around the country, we continually see examples of excellence in early childhood education which reinforce the notion that high-quality experiences for young learners are 1) possible and 2) critical. Take for example Operation Breakthrough based in Kansas City (and the largest early learning center in the Midwest) where we found ten remarkable takeaways from the approaches being used. But we know this is just one example where educators are trying new approaches and innovating in the early learning environment and that there is still a lot more work to be done. The Patagonia on-site childcare center where daily child care services are provided with an added emphasis on creating high quality, place-based early learning experiences for students and their families. In Washington state outdoor preschools are emerging with programs through the Woodland Park Zoo where children can spend 45-minutes in a hands-on learning class, and Tiny Trees where the outdoors literally becomes the schoolhouse! Learning at Tiny Trees happens note in a brick and mortar building but at parks around several cities in Washington. In out-of-school, Tinkergarten is an example of a company that offers play-based classes for young children through a decentralized network of leaders– providing access to play to young children, with increasing evidence of the importance of play in learning. NWEA realizes the power of rich formative assessment and is developing cutting-edge tools for early learning educators. Reasoning Mind recently launched their early learning program for mathematics, focusing on understanding young learners development of math skills. More robust assessments that can be done online provide educators with instant feedback, activities and instructional ideas. Further, when students feel supported in a positive culture and become accustomed to formative feedback at an early age, they develop a growth mindset. More use of advanced technologies to support and understand early learner literacy development. Beckner and the team at Omidyar Network are focused on finding the best technologies that have the potential to impact early learners. Although many are still nascent, she shared a few that are particularly well-suited to support early childhood development. Wearable technology has the potential to advance our understandings of the interactions early learners have with their environments and with other people, one example being the number of words spoken by their parents or caregivers on a daily basis. One study looking at what happened to early learner vocabulary development and usages when they had on wearable technology revealed that parents changed their behavior after seeing the number of incoming and outgoing words the child experienced per day. Also, current platforms are not particularly suited for young children’s voices or for their often loud environments, but companies like Soapbox labs are harnessing the power of technology to better understand the beginnings of speech development. Fluency measures are highly dependent on a facilitator working with students, but voice recognition has the potential to assist. Better prep for ECCE teachers. Early Learning teachers are the first interaction young children have with the education system and high-quality teaching and learning becomes essential. Unfortunately, the training, ongoing support and compensation many teachers receive varies greatly from state to state. The National Association of State Boards of Education (NASBE), has stated that now is the time to ensure the professionalization of the early childhood education (ECE) workforce, by improving training and professional development teachers receive and enhancing the practice overall. One potential place to start is to consider changing the educational requirements ECE teachers need, as many do not have college degrees. While there is specialized knowledge only obtained through a college degree that would enhance teaching and learning, we must also take care in the rollout of changing educational requirements since many teachers currently only have a high school degree. Continued focus on the transition from Pre-K to Kindergarten and an increased focus on SEL. Students enter Kindergarten with a wide range of educational experiences, each of which can place them on a positive or negative trajectory for future learning. When the transition from Pre-K to Kindergarten is deliberate and well thought out by educators, and parents, we begin to ensure that students have the knowledge and tools for success. New America recommends four policy shifts: increasing ESSA funds, providing additional tools and guidance, increasing the focus on alignment between early learning programs and feeder schools, and grant programs to incentivize strong transition programs and support, for states to consider to help ease the transition. Rolf Grafwallner, Program Director of Early Childhood Education at CCSSO, articulated that while the transitional skills are important a well-balanced approach to early learning needs to include focus on social and emotional learning, too. Early learners also need to be learning how to work together, demonstrate perseverance, learn how they resolve conflict and even how to become more self-regulated, such as being organized in the work that they do in the classroom. Grafwallner (CCSOO), believes that the inclusion of early learning into ESSA is a huge opportunity for states to improve learning experiences and address some of the achievement gap issues that begin very early on. Several states are leading the way and providing an example for how systems can be improved, look to the CEELO and CCSSO policy brief, “The State of Early Learning in ESSA: Plans and Opportunities for Implementation,” for exemplar states in each of the three topic areas. Deeper learning. 21st-century skill development and deeper learning outcomes as a result of early learning experiences will become the expected standard. There will continue to be a focus on early literacy skills, but a corresponding focus on deeper learning in early learning programs will become increasingly important. This is the first blog in our series on early learning. Follow #EarlyLearning and stay tuned for our next post where we explore the four areas where innovation can boost quality and access. I thought it was interesting that learning early could also help a child’s emotional well being. My friend just had a baby, so she’s a bit curious as to when she should started teaching her child elementary knowledge. I’ll totally share this article with her, so she can make an informed decision. It’s good to know more about early childhood education. I like how you said that kids need to learn more “21st century” skills when they’re young. Do preschools teach kids these skills? Because I’m looking for one to take my son to. Thanks for sharing such an insightful article. Our Children are the future leaders and so we all hold the responsibilities of giving them the best of care and protection. They are fast learners so whatever we teach them will form part of their lives. Thank you for pointing out that early childhood learning can help lead to increased cognitive development. My husband and I are wanting to put our daughter in an early education program and want to find the best one possible. I’ll have to do some research and find the best program in our area for her. I’m glad you pointed out that use of digital media and technology has been shown to improve a child’s ability to deal with frustration or mistakes. I’m currently looking for a preschool for my son, but I wasn’t sure how to feel about the integration of technology into the preschool classroom. Thanks for sharing and letting me know that use of digital media has proven benefits when used in early childhood education. I find it awesome that making use of early childhood care and education can help children earn more money when they grow up. Reading these tips convinced me to enroll my youngest daughter into a private preschool. That way, she can nurture her IQ and EQ. That’s a really nice article.